At Embassy Hair, we believe in sharing ideas and approaching them from different angles. We use a variety of influences from around the world in order to achieve an individual result that suits the client’s personality and maintains an exceptional level of hairdressing. "It was imperative that we built an environment that not only functioned well technically, but allowed our clients to feel as welcome as if invited into our own homes." No detail has been missed when designing the salon, with the primary objective being comfort for both the client and the team member. The salon provides luxuries, including high-end backwashes that give you more room to relax while you receive treatments. Italian Pietranera chairs have been designed with complete comfort in mind; the mood lighting has been specifically chosen to create ambience; even the walls, ceilings, and floors have been designed to soften sound. So, even at its busiest times, the boutique salon is a pleasurable environment to relax and receive the highest quality of hairdressing and lifestyle services. Imagine stepping into our salon where gentlemen's club meets boutique hotel. We have removed the corporate feel of the industry giants and brought back the feeling of warmth and care to the salon environment. Dedicated to the individual needs of every client. Achieve the look and style you have always wanted by visiting our truly high-end hair salon. Located in Newcastle-under-Lyme, Embassy is a high-quality salon that delivers professional hairdressing services for both women and men. Vastly experienced and highly skilled, our team of hairdressers and stylists always provide a personal service and produce great results. We are the number one hair salon in the Midlands on mylocalsalon.com, and we have received many awards and glowing reviews from our customers. Embassy is a proud member of the National Hairdressers Federation (NHF) and would love to help you perfect your look. Joel is a legend! 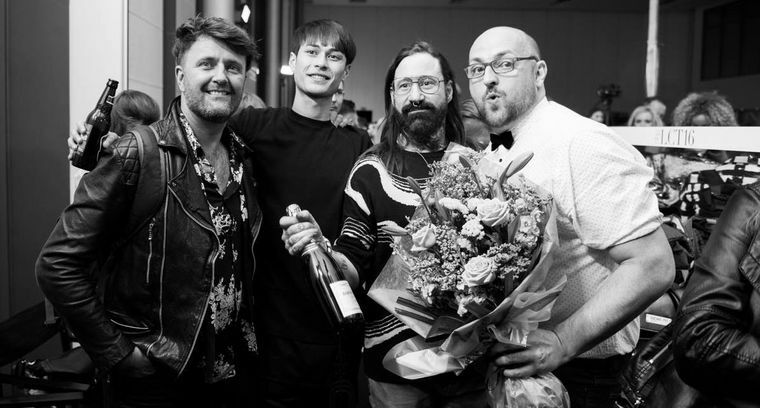 He has trained some of the best names in the industry at the Toni & Guy academies in London, Birmingham, and Manchester – hairdressers that now travel the globe in the fabulous world of high fashion and whose work constantly graces the covers of the elite fashion magazine publications. Joel's creative and open mind will mean there is much versatility and scope for your hair, be it simple and classic, clever with a twist, or just bang on trend.With a styling background – spanning more than two decades of fine tuning his precise and meticulous approach to cutting men and women's hair – he has secured his dedicated clientele list who followed him loyally throughout his 18-year career with Toni & Guy. His open approach will make any new client feel completely at ease and in the hands of an expert. Joel is one to book for classic cuts, on-trend favourite styles of celebrities, and super-bouncy blow outs. He also has an excellent knowledge of hair health, so when you need some SOS advice on restoring your locks to their former conditioned glory or need to reignite that passion for your hair once again, have him on speed dial and you will never have a bad hair day again. Keith is a total natural in the science behind colouring hair, and he has built up an amazing reputation for colour correction at Toni & Guy academies in both London and Manchester, developing colour correction case studies for use in salon education. He has been in the industry for more than 15 years and has lost none of his enthusiasm for that perfect blonde, so he is a favourite with his 'blonde brigade', giving them the exact tones required and always that extra bit of shine. Michael is one of the most experienced stylists at Embassy Hair. He has been at the forefront of his industry for 23 years. If you are looking for a stylist that excels in precision cutting, bridal, and fashion hair up, Michael is your man! With a background of shoots, shows, and working with A-list clients, he is an expert in classic cutting and glamorous, sophisticated blow dries, and his immaculate styling and effervescent manner have also made him a firm favourite. Michael is definitely one for the party season or any big hair event, with his extensive knowledge of extensions (curly or straight) and his imaginative buns and ponytails making you feel perfect for that evening out. Michael is a versatile all-rounder loved by clients for his friendly persona, the twinkle in his eye, and his ability to create modern, easy shapes and sharp men's cuts. A cut with Michael will ensure you leave the salon with a smile. 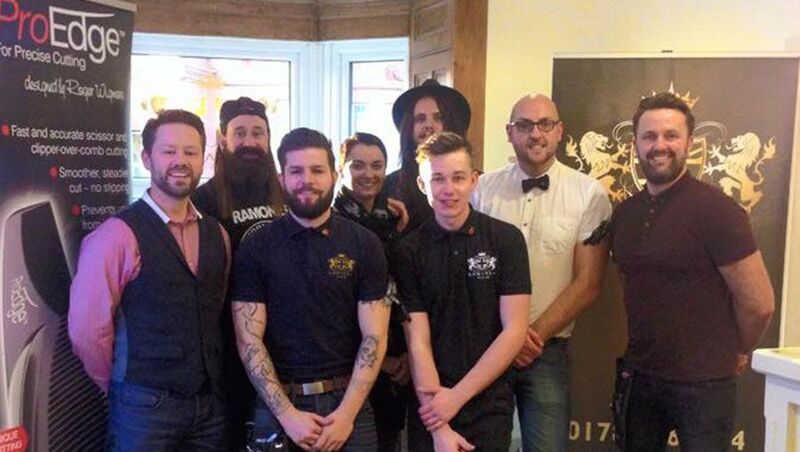 to discover more about the talented team at our hair salon in Newcastle-under-Lyme.